No. 6: "The whole world as the Village?" No 2: "That is my hope…"
Part 1: "Where am I?" Yes, you've seen them. Those large cardboard sheets you find perched in odd places in the shop with DVDs attached like Inspector Frost and CSI. What about 'Build Your Own Spitfire' (this is no joke). But there’s that other one propped up next to the pamphlet "How To Sell Old TV Off At Ludicrously Inflated Prices". Yes, that one with that bloke from Danger Man. What’s that all about? What's it called? The Prisoner… The box set of all 17 episodes will put you back about £50. Buying them in fortnightly instalments will cost £129.83. So what’s the extra £79 worth shelling out for? The colour map of the Village 'free' with issue one? Now, a few months on, it must be a 'collector’s item', surely. The accompanying 'Prisoner Files' are a lot better than expected, more serious in their examination of the particular episodes than publicity fluff usually is but even 17 of those are not quite worth the £4.64 each you're invited to pay for the simple privilege of having each episode on one single DVD… So what the hell am I doing buying them again? I'm being a completist (terrible habit, terrible made-up word and possibly a synonym for 'idiot'). I'm trying to objectively judge one thing in the world I cannot possibly be objective about - The Prisoner, the world’s greatest television series. To those of you in the 'want-to-know' camp, let me introduce you to a series that re-drew the map of what TV was capable of, a creative hurricane that threw down a gauntlet (in a hurricane, no mean feat) that no TV series produced since has dared to pick up. Is there such a thing as an artistic TV programme or programme maker? Dennis Potter? Yes. He pushed and pulled and screamed and shouted and he was heard and his legacy is a powerful body of work that will stand the test of time. Some historic events underline TV's power. The moon-walks via closed circuit TV in 1969 and beyond? Of course. If they hadn't been televised, they would not have been one hundredth as effective as living history. We could all vicariously join Astronaut Armstrong while he misquoted in front of the biggest TV audience of all time. Roots, Dallas and even Life on Earth - all genre-stretching examples of world-shaking television (in worthy and less worthy ways). But none (not one) held a shaky candle to a series about a man who is kidnapped and placed inside a metaphor of the world (called simply 'the Village') and then throughout 16 more episodes, he tries to escape and 'they' try to grind him down, find out why he suddenly resigned his secret job. Simple. Simple? At the age of 18, the day after my final A Level exam, my father drove me to the small North Wales town of Penrhyndeudraeth to attend my first Prisoner convention at the real 'Village' (or Portmeirion as its famous pottery and 'the Village' is formally and real-worldly known). I re-visited this special location in 1994 to direct a BBC documentary on the continuing fan base that consistently and entertainingly keeps the series - and more importantly - the spirit of the series very much alive. Greatness only dies if those touched by it die too. We are very much alive. Part 2: "What do you want?" "To raise the television quality bar..."
In the mid to late 60s, the outgoing TV series Danger Man segued into The Prisoner so effortlessly that it was generally assumed that the prisoner himself was secret agent John Drake. It didn't matter. That was so far from 'the point', it was akin to arguing whether Cézanne's apples were Granny Smith's or Cox's. The Prisoner was no simple action-oriented, 'lives by his wits', ITV 60's pot-boiler (though it sometimes borrowed the style and the action man trappings). It was, plainly put, a bold, critical, allegorical vision of a soon to be familiar world - a world we recognise now as our own, the series' prescience being both uncanny and alarming. The Prisoner tackled weighty issues - politics, education, the nature of freedom, drug abuse, trust, state authority - and sometimes riffed off the surreality of the socially uproarious time in which it was made (mid to late sixties). Certain episodes could be downright impenetrable (if you were watching with "Danger Man-watching" eyes). But if you primed yourself for television that 'intelligenced' or 'smartened up' rather than 'dumbed down', then the rewards were significant. It is my humble opinion that The Prisoner is the greatest television series ever made. It had more to say than any other series, said it more intelligently, said it entertainingly and said it in a way that prompted debate among viewers unused to a series that had the balls to talk back at them. 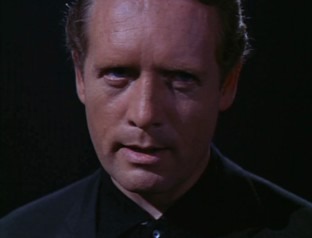 Patrick McGoohan in many ways (not least by starring-role association) came to dominate the series despite George Markstein's crucial role in having a hand in creating and developing the show. McGoohan often wrote and directed episodes sometimes under pseudonyms. It's always seemed odd to me that on one of the greatest Prisoner episodes (Free For All), he chose to have his writing credit read 'Paddy Fitz' and yet, the less accessible (but brilliant all the same) Fall Out was proudly announced 'Written and Directed by Patrick McGoohan'. By then I guess McGoohan had accepted all responsibility for the series, for good or ill. Despite its unusually large budget (for a TV series) and its 35mm production values, The Prisoner is a compromised series. The lacklustre episodes show some creative desperation in their conception and execution. By then, the series was being broadcast and audiences were starting to demand answers. This was the era of cat stroking crime lords and Bond was starting to peak as an iconic pop culture force to be reckoned with. Answers to the conundrums of The Prisoner were (again) not really the point but those who saw the series on one level demanded their level one reading. Who was No. 1? No, really. Who was No. 1? People actually wanted to know - which sort of negated the entire series in a way. Of course, there was no No. 1 in the show's original conception - that would be like Orwell giving Big Brother's actual name and address in the addendum of 1984). Imagine if Big Brother's name was Kevin? And he lived just north of Putney, drove a Skoda, loved Cranberry juice and... Kind of spreads the Germolene on to the allegorical sting. How seriously could Orwell's work be taken from then on? In the allegorical world, there can only be one answer to that question "Who is No. 1?" (if an answer is forced by viewer and economic pressure) and in the final episode Fall Out McGoohan supplied a literally multi-faceted answer much to my unending delight. To the sixties' audience, it was a surreal slap in the face. But we will get to Fall Out a little later. So what did ITV's financier Lew Grade want (apart from McGoohan to make Danger Mans until his Zimmer frame compromised his right hook)? 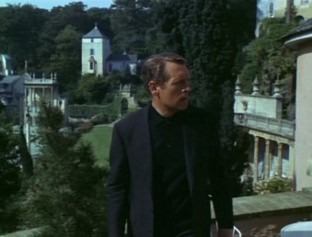 The Prisoner has many faults, technically and artistically. The recreated 'Village' sets are risible (studios do not duplicate beaches with anything approaching verisimilitude) and all too often the differences between the 'really there in the Village' and the 'studio mock up' are painfully obvious. Artistically, The Prisoner is a series whose best and strongest ideas were spread thinly. There is a good reason for this. There were only seven episodes conceived and planned but Lew Grade could not sell and have syndicated seven episodes in the all-important American market. He needed twenty six. McGoohan and writers locked themselves away and over a weekend came up with ten more ideas for episodes. It was generally believed that even those ten were spreading the allegory a little thin. Take a few seconds to think about that. You create a rounded work that comprises of seven instalments. It’s working well as seven instalments. In fact, as seven instalments, it seems to defy economic convention and move people, affect people and 'warn' people of society's imminent future. But no! The gods of US syndication have to be sated. Can you imagine Sir Lew Grade's memo to Patrick McGoohan mid-season? Much as I love and appreciate the extraordinary effort that you and your dedicated cast and crew have put into regarding the production of The Prisoner, I still feel that the original premise of the series could best be served by taking the seven shows you are happy with and stretching the original concept to cover many more episodes..."
This was not the best time to get this order from on high (for that is what it was). It diluted greatness (but what did 'TV' care?). It made a mockery of McGoohan and Markstein's vision but all things considered, Grade's thinly veiled ultimatum forced McGoohan and co. to expand upon an original series that may have been insanely great (Apple, allow something else to share that description) but economically unviable. This is not to condemn the extra ten as unworthy. A few are genuinely superb but the lesser ones point to the compromises made very sharply. Still, I cannot imagine a world without The Prisoner and if that meant a few forced lacklustre episodes then that's the price to pay for seven hours and more of television that continue to awe. If you still have any doubts, find a copy of Free For All (aka episode 4 or 5 or 2 or 3 depending which Prisoner expert you consult) and play it - NOW. This is an election year. You want to understand what an election actually is (or what it’s been perverted into?) then watch - eyes and ears open to McGoohan's miniature epic of televisual COMMON SENSE. It will squeegee your brain to epiphany. And the episode was made almost 30 years ago. Talk about timeless. Put up against any other television series, idea for idea, minute for minute, The Prisoner soars. It is the most rewarding, densely packed, seven(teen) hours of adult entertainment - still not reaching the audience it deserves - ever made. Lofty claims? And to think it almost completely passed me by.